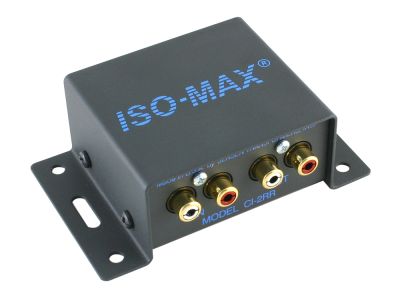 Connect the CI-2RR in between your preamp and power amp to eliminate noise without affecting the signal quality. 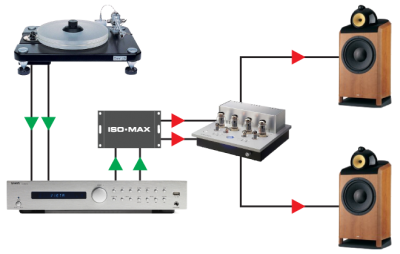 The CI-2RR’s exceptional frequency response, phase accuracy and signal handling makes it perfect for high-end 2 channel systems. 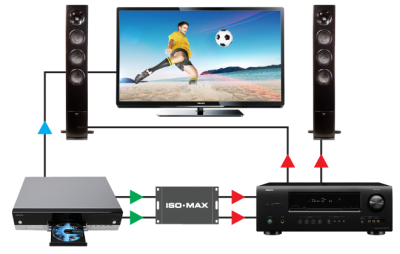 Combining video and audio together in home theater setups can often lead to noise. The Iso-Max CI-2RR solves the problem by isolating the video playback system from the multi-channel audio system, eliminating the hum and buzz caused by ground loops and DC offsets. 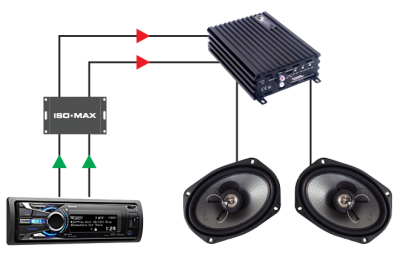 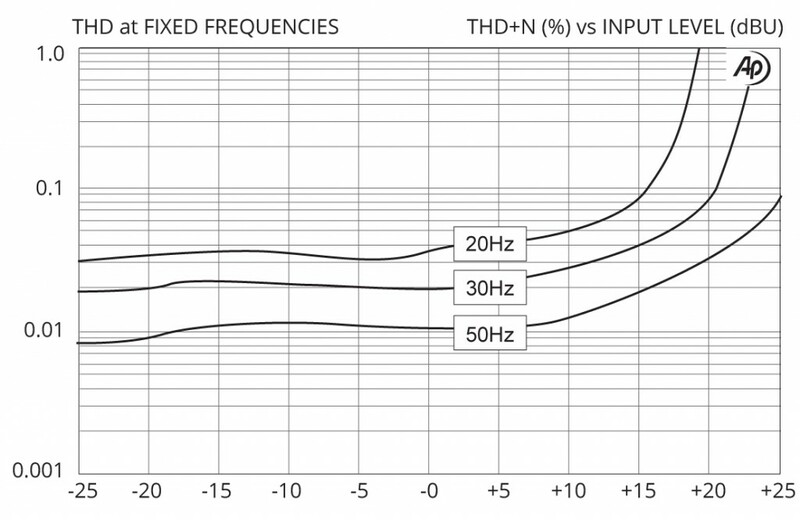 Car audio enthusiasts know the challenges of ground hum polluting their audio. 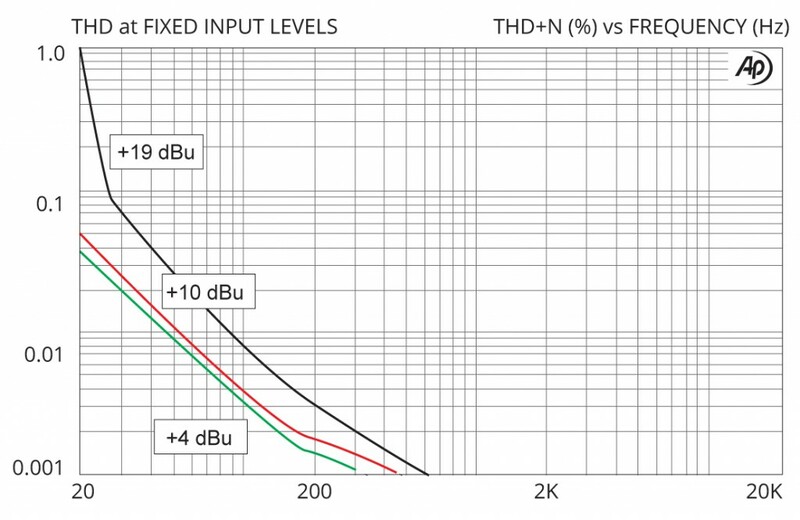 Turning up the volume only amplifies the problem. 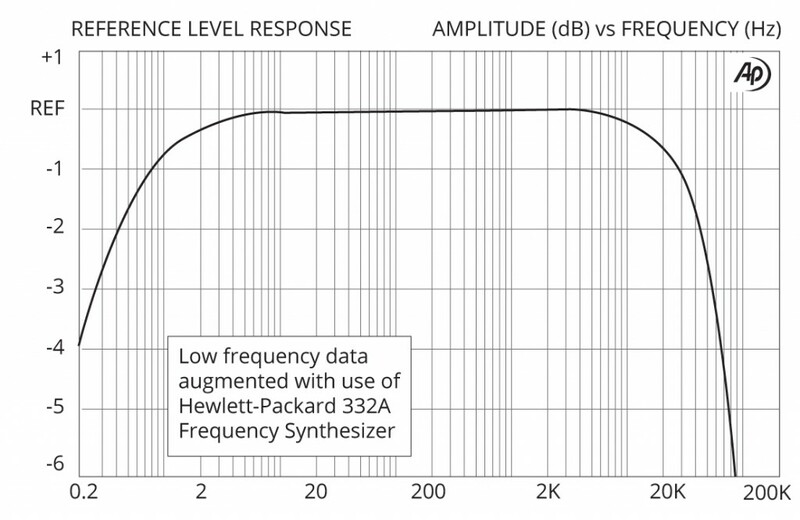 Isolating the radio/receiver from the power amp eliminates buzz caused by ground loops. 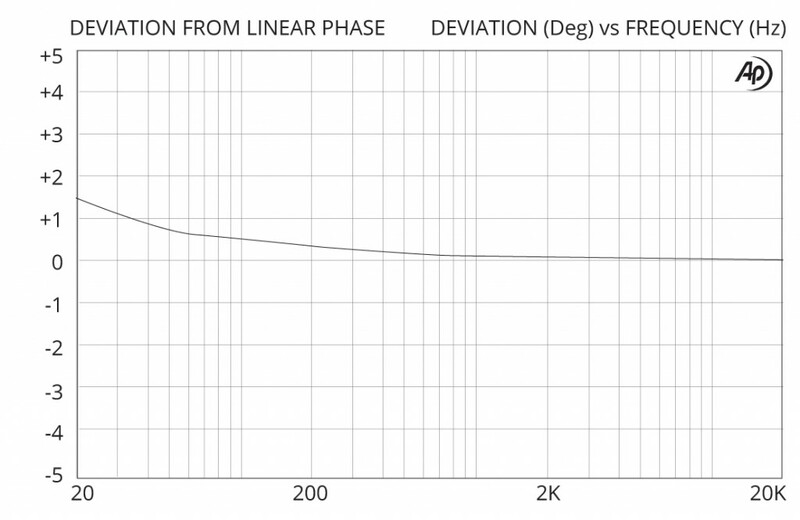 The CI-2RR does it perfectly without affecting the performance.